Yearly Leaders and Records for Rebounds Per Game. basketball-reference.com. Sports Reference LLC. [2016-07-29]. （原始内容存档于2016-04-08）. ^ Regular Season Records: Steals. NBA.com. Turner Sports Interactive, Inc. [2016-07-25]. （原始内容存档于2016-05-11）. ^ 4.0 4.1 4.2 Wilt Chamberlain. NBA.com. Turner Sports Interactive, Inc. [2016-07-29]. （原始内容存档于2016-05-09）. ^ 5.0 5.1 5.2 Wilt Chamberlain's NBA records. NBA.com. Turner Sports Interactive, Inc. [2016-07-29]. （原始内容存档于2016-04-25）. ^ Magic rest starters, ride Redick, Gortat to blowout of Wizards. espn.com. 2008-04-16 [2016-07-29]. （原始内容存档于2014-12-05）. ^ Dennis Rodman. NBA.com. Turner Sports Interactive, Inc. [2013-03-04]. （原始内容存档于2013-03-04）. ^ 8.00 8.01 8.02 8.03 8.04 8.05 8.06 8.07 8.08 8.09 8.10 8.11 8.12 8.13 8.14 8.15 8.16 8.17 8.18 8.19 8.20 8.21 8.22 8.23 8.24 8.25 8.26 8.27 8.28 8.29 8.30 8.31 8.32 8.33 8.34 8.35 8.36 8.37 8.38 8.39 8.40 8.41 8.42 8.43 8.44 8.45 8.46 8.47 8.48 8.49 8.50 8.51 8.52 8.53 8.54 8.55 8.56 8.57 8.58 8.59 8.60 8.61 8.62 8.63 2013-14 Official NBA Guide (PDF). nba.com. [2016-07-30]. （原始内容存档 (PDF)于2016-03-13）. ^ Dolph Schayes. Sports Reference LLC. [2016-07-30]. （原始内容存档于2016-04-05）. ^ Larry Foust. Sports Reference LLC. [2016-07-30]. （原始内容存档于2016-04-07）. ^ Mel Hutchins. Sports Reference LLC. [2016-07-30]. （原始内容存档于2016-04-05）. ^ George Mikan. Sports Reference LLC. [2016-07-30]. （原始内容存档于2016-04-05）. ^ Harry Gallatin. Sports Reference LLC. [2016-07-30]. （原始内容存档于2016-04-05）. ^ Neil Johnston. Sports Reference LLC. [2016-07-30]. （原始内容存档于2016-04-05）. ^ Bob Pettit. Sports Reference LLC. [2016-07-30]. （原始内容存档于2016-04-05）. ^ Maurice Stokes. Sports Reference LLC. [2016-07-30]. （原始内容存档于2016-04-05）. ^ 17.0 17.1 17.2 17.3 Bill Russell. Sports Reference LLC. [2016-07-30]. （原始内容存档于2016-05-06）. 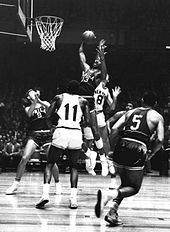 ^ 18.00 18.01 18.02 18.03 18.04 18.05 18.06 18.07 18.08 18.09 18.10 Wilt Chamberlain. Sports Reference LLC. [2016-07-30]. （原始内容存档于2016-05-06）. ^ League Leaders: Rebounds – 1969–70. NBA.com. Turner Sports Interactive, Inc. [2016-07-30]. （原始内容存档于2015-11-08）. ^ 20.0 20.1 Elvin Hayes. Sports Reference LLC. [2016-07-30]. （原始内容存档于2016-04-10）. ^ League Leaders: Rebounds – 1970–71. NBA.com. Turner Sports Interactive, Inc. [2016-07-30]. （原始内容存档于2016-03-08）. ^ League Leaders: Rebounds – 1971–72. NBA.com. Turner Sports Interactive, Inc. [2016-07-30]. （原始内容存档于2015-11-21）. ^ League Leaders: Rebounds – 1972–73. NBA.com. Turner Sports Interactive, Inc. [2016-07-30]. （原始内容存档于2015-11-21）. ^ League Leaders: Rebounds – 1973–74. NBA.com. Turner Sports Interactive, Inc. [2016-07-30]. （原始内容存档于2015-06-28）. ^ 25.0 25.1 League Leaders: Rebounds – 1974–75. NBA.com. Turner Sports Interactive, Inc. [2016-07-30]. （原始内容存档于2015-03-10）. ^ Wes Unseld. Sports Reference LLC. [2016-07-30]. （原始内容存档于2016-04-05）. ^ League Leaders: Rebounds – 1975–76. NBA.com. Turner Sports Interactive, Inc. [2016-07-30]. （原始内容存档于2015-06-28）. ^ Kareem Abdul-Jabbar. Sports Reference LLC. [2016-07-30]. （原始内容存档于2016-04-10）. ^ 29.0 29.1 League Leaders: Rebounds – 1976–77. NBA.com. Turner Sports Interactive, Inc. [2016-07-30]. （原始内容存档于2015-11-01）. ^ Bill Walton. Sports Reference LLC. [2016-07-30]. （原始内容存档于2016-04-10）. ^ League Leaders: Rebounds – 1977–78. NBA.com. Turner Sports Interactive, Inc. [2016-07-30]. （原始内容存档于2015-11-01）. ^ Truck Robinson. Sports Reference LLC. [2016-07-30]. （原始内容存档于2016-04-12）. ^ League Leaders: Rebounds – 1978–79. NBA.com. Turner Sports Interactive, Inc. [2016-07-30]. （原始内容存档于2015-11-29）. ^ 34.0 34.1 34.2 34.3 34.4 34.5 Moses Malone. Sports Reference LLC. [2016-07-30]. （原始内容存档于2016-04-10）. ^ League Leaders: Rebounds – 1979–80. NBA.com. Turner Sports Interactive, Inc. [2016-07-30]. （原始内容存档于2015-10-31）. ^ Swen Nater. Sports Reference LLC. [2016-07-30]. （原始内容存档于2016-04-12）. ^ League Leaders: Rebounds – 1980–81. NBA.com. Turner Sports Interactive, Inc. [2016-07-30]. （原始内容存档于2015-11-06）. ^ League Leaders: Rebounds – 1981–82. NBA.com. Turner Sports Interactive, Inc. [2016-07-30]. （原始内容存档于2016-03-04）. ^ League Leaders: Rebounds – 1982–83. NBA.com. Turner Sports Interactive, Inc. [2016-07-30]. （原始内容存档于2015-11-25）. ^ 40.0 40.1 League Leaders: Rebounds – 1983–84. NBA.com. Turner Sports Interactive, Inc. [2016-07-30]. （原始内容存档于2015-11-25）. ^ League Leaders: Rebounds – 1984–85. NBA.com. Turner Sports Interactive, Inc. [2016-07-30]. （原始内容存档于2015-11-29）. ^ League Leaders: Rebounds – 1985–86. NBA.com. Turner Sports Interactive, Inc. [2016-07-30]. （原始内容存档于2015-11-25）. ^ Bill Laimbeer. Sports Reference LLC. [2016-07-30]. （原始内容存档于2016-04-10）. ^ 44.0 44.1 League Leaders: Rebounds – 1986–87. NBA.com. Turner Sports Interactive, Inc. [2016-07-30]. （原始内容存档于2015-11-25）. ^ Charles Barkley. Sports Reference LLC. [2016-07-30]. （原始内容存档于2016-05-09）. ^ 46.0 46.1 League Leaders: Rebounds – 1987–88. NBA.com. Turner Sports Interactive, Inc. [2016-07-30]. （原始内容存档于2015-11-25）. ^ Michael Cage. Sports Reference LLC. [2016-07-30]. （原始内容存档于2016-04-12）. ^ League Leaders: Rebounds – 1988–89. NBA.com. Turner Sports Interactive, Inc. [2016-07-30]. （原始内容存档于2015-06-28）. ^ 49.0 49.1 Hakeem Olajuwon. Sports Reference LLC. [2016-07-30]. （原始内容存档于2016-04-10）. ^ League Leaders: Rebounds – 1989–90. NBA.com. Turner Sports Interactive, Inc. [2016-07-30]. （原始内容存档于2015-11-21）. ^ League Leaders: Rebounds – 1990–91. NBA.com. Turner Sports Interactive, Inc. [2016-07-30]. （原始内容存档于2015-11-25）. ^ David Robinson. Sports Reference LLC. [2016-07-30]. （原始内容存档于2016-04-10）. ^ League Leaders: Rebounds – 1991–92. NBA.com. Turner Sports Interactive, Inc. [2016-07-30]. （原始内容存档于2015-11-08）. ^ 54.0 54.1 54.2 54.3 54.4 54.5 54.6 Dennis Rodman. Sports Reference LLC. [2016-07-30]. （原始内容存档于2016-05-09）. ^ League Leaders: Rebounds – 1992–93. NBA.com. Turner Sports Interactive, Inc. [2016-07-30]. （原始内容存档于2015-11-06）. ^ League Leaders: Rebounds – 1993–94. NBA.com. Turner Sports Interactive, Inc. [2016-07-30]. （原始内容存档于2015-11-01）. ^ 57.0 57.1 League Leaders: Rebounds – 1994–95. NBA.com. Turner Sports Interactive, Inc. [2016-07-30]. （原始内容存档于2015-11-08）. ^ 58.0 58.1 League Leaders: Rebounds – 1995–96. NBA.com. Turner Sports Interactive, Inc. [2016-07-30]. （原始内容存档于2015-11-08）. ^ 59.0 59.1 League Leaders: Rebounds – 1996–97. NBA.com. Turner Sports Interactive, Inc. [2016-07-30]. （原始内容存档于2015-11-25）. ^ League Leaders: Rebounds – 1997–98. NBA.com. Turner Sports Interactive, Inc. [2016-07-30]. （原始内容存档于2015-11-06）. ^ 62.0 62.1 League Leaders: Rebounds – 1998–99. NBA.com. Turner Sports Interactive, Inc. [2016-07-30]. （原始内容存档于2015-10-31）. ^ Chris Webber. Sports Reference LLC. [2016-07-30]. （原始内容存档于2016-04-10）. ^ League Leaders: Rebounds – 1999–2000. NBA.com. Turner Sports Interactive, Inc. [2016-07-30]. （原始内容存档于2015-06-29）. ^ 65.0 65.1 Dikembe Mutombo. Sports Reference LLC. [2016-07-30]. （原始内容存档于2016-04-05）. ^ 66.0 66.1 League Leaders: Rebounds – 2000–01. NBA.com. Turner Sports Interactive, Inc. [2016-07-30]. （原始内容存档于2015-11-25）. ^ 67.0 67.1 League Leaders: Rebounds – 2001–02. NBA.com. Turner Sports Interactive, Inc. [2016-07-30]. （原始内容存档于2015-10-31）. ^ 68.0 68.1 Ben Wallace. Sports Reference LLC. [2016-07-30]. （原始内容存档于2016-05-25）. ^ League Leaders: Rebounds – 2002–03. NBA.com. Turner Sports Interactive, Inc. [2016-07-30]. （原始内容存档于2015-10-31）. ^ League Leaders: Rebounds – 2003–04. NBA.com. Turner Sports Interactive, Inc. [2016-07-30]. （原始内容存档于2016-03-03）. ^ 71.0 71.1 71.2 71.3 Kevin Garnett. Sports Reference LLC. [2016-07-30]. （原始内容存档于2016-05-02）. ^ League Leaders: Rebounds – 2004–05. NBA.com. Turner Sports Interactive, Inc. [2016-07-30]. （原始内容存档于2015-06-28）. ^ 73.0 73.1 League Leaders: Rebounds – 2005–06. NBA.com. Turner Sports Interactive, Inc. [2016-07-30]. （原始内容存档于2015-11-21）. ^ 74.0 74.1 League Leaders: Rebounds – 2006–07. NBA.com. Turner Sports Interactive, Inc. [2016-07-30]. （原始内容存档于2015-06-28）. ^ League Leaders: Rebounds – 2007–08. NBA.com. Turner Sports Interactive, Inc. [2016-07-30]. （原始内容存档于2015-11-21）. 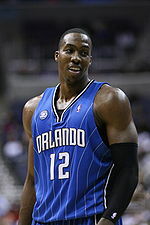 ^ 76.0 76.1 76.2 76.3 76.4 Dwight Howard. Sports Reference LLC. [2016-07-30]. （原始内容存档于2016-06-15）. ^ Kevin Love. Sports Reference LLC. [2016-07-30]. （原始内容存档于2016-06-21）. ^ 79.0 79.1 2012-13 NBA Leaders. Sports Reference LLC. [2016-07-30]. （原始内容存档于2016-04-12）. ^ 80.0 80.1 DeAndre Jordan. Sports Reference LLC. [2016-07-30]. （原始内容存档于2016-04-12）. ^ Andre Drummond. Sports Reference LLC. [2016-07-30]. （原始内容存档于2016-04-25）. ^ "Hassan Whiteside NBA & ABA Statistics". basketball-reference.com. Retrieved April 13, 2017. ^ "Andre Drummond NBA & ABA Statistics". basketball-reference.com. Retrieved April 13, 2017.